We focus on crisis stabilization during each patient’s stay; our goal is to move individuals to a less-intensive level of care as soon as it is safe to do so. We know this can be a scary time, and for some, this is their first hospitalization due to a mental illness. Our experts are here to help, and serve as a source of guidance and comfort. Plus, we specialize in pharmacological interventions and electroconvulsive therapy (ECT). Individuals generally come to our unit for care after experiencing suicidal ideation, a suicide attempt, severe anxiety, or generally unsafe behavior. 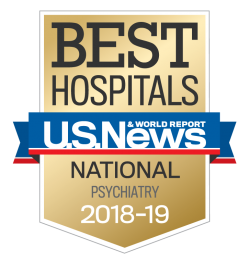 In general, we treat individuals who are experiencing one or more of the following disorders: major depressive disorder, generalized anxiety, bipolar disorder, a personality disorder, a dissociative disorder, and post-traumatic stress disorder.